1Password: Basic password management apps and capabilities for individuals, for $2.99 per month. 1Password Families: Shares 1Password capabilities among a family of up to five, for $4.99 per month. 1Password Teams: Includes admin controls for small teams plus five guest accounts for limited sharing, for $3.99 per user per month. 1Password Business: Expands on 1Password Teams capabilities with access controls, custom roles, usage reporting, and more, for $7.99 per user per month. 1Password Business focuses on the needs of large organizations, so it provides finely grained access control and user groups. Admins can control who sees what, and delegate responsibility with custom roles. 1Password Business also records activity logs and creates usage reports for auditing, and it integrates with enterprise-level tools like Active Directory, Okta, and Duo. AgileBits includes 20 guest accounts for limited sharing and gives each user 5 GB of document storage space, up from 1 GB for the other levels. As a bonus, every 1Password Business user gets a free 1Password Families account so their personal security habits are less likely to impact the business. 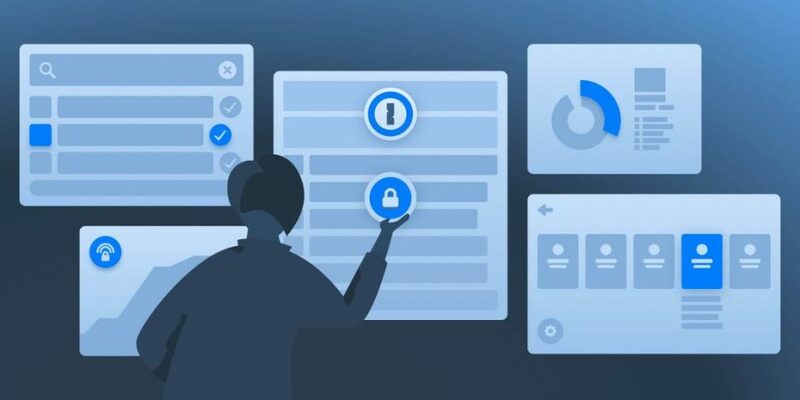 Despite the focus of 1Password Business on larger organizations, there’s no minimum number of users, so smaller groups that need the 1Password Business feature set can still sign up. Those who are using 1Password Teams now can transition to 1Password Business, but it sounds as though that might best be done by contacting AgileBits.